Exercise bikes can provide an effective cardio workout at any fitness level. In addition, exercise bikes are easily stored and quiet, making them ideal for home workouts. The reason why exercise bikes are becoming so popular it’s because they help you burn calories without harming your knees and joints. There are four different exercise bikes and each one of them serves another workout purpose. You probably heard about upright stationary exercise bikes, these bikes are made for user’s that are used to outdoors cycling. Recumbent stationary exercise bikes are partially reclined and a good option for people that suffer some kind of back pain. You should be considering dual action stationary exercise bikes if you are looking for a full body workout. And finally, indoor cycles have adjustable resistance levels which help you to bring your fitness workout to another level. If you have any questions please don’t hesitate to ask. We are gym equipment experts and we want to help you find the right exercise bike. Exercise bikes are slowly becoming the most popular piece of gym equipment for home. The reason for this is because they are affordable, offer an efficient fitness workout and don’t take up too much space. Choosing the right new exercise bike it’s not an easy task. There are thousands of options available and the search can be overwhelming. It’s important to differentiate between the types of exercise bikes and understand that each type is suited for a different type of user profile. The exercise bike you should choose will depend on your needs, preferences and fitness goals. The benefits of working out on an exercise home cycle are countless: easy to assemble, easy to use, intuitive for beginners, and low impact. The reason why exercise bikes are considered to be low impact it’s because these type of cardio machines don’t put too much pressure on your knees, ankles, and other joints while you are working out. We could classify these as technical benefits, but in addition, there are also health benefits such as: burn calories, tone muscle, increase mobility and flexibility of your joints, increase metabolism, better heart health and reduce stress. In addition, you get free delivery with your purchase in our store! Knowing the different types of exercise cycles is a key purchase factor. This buyer’s guide describes the different types of exercise cycles available and the benefits of each type so you can take the right decision. There are four different types: upright, recumbent, dual action, and indoor cycles. 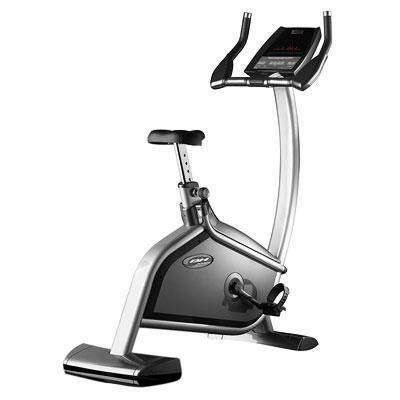 Upright are the type of gym equipment that most resemble outdoor cycles. These type of exercise remain in an upright position like traditional cycles, and also share the same type of seat and pedal. Because the feeling of riding an upright exercise cycle is very similar to riding an outdoor bike, these type of exercise bike is prefered by many cyclist. The benefits you get from working out on this type of home cycle are also equal to the benefits of riding an outdoor bike: it provides a good lower body workout. Upright cycles are usually the most simple, in the sense that these cycles are not loaded with many additional features. Of course, upright cycles still come with a distance meter and a resistance adjustment. However, high end models do come with additional features to those aforementioned. It’s also important to keep in mind that there are also folding upright cycles for those that are short in space: you’ll be able to easily store them after an intense fitness workout. The flywheel turns and generates momentum recreating the movement of outdoor or mountain bikes. However, because of the resistance option available on the bike, it feels more as if you were pedaling upwards. The handle is higher than the seat, unlike an indoor cycle or an outdoor bike, where they are usually leveled. The seat is also slightly larger than the outdoor bike’s. Vertical stationary bikes are built purely for the purpose of improving the rider’s performance. They have a built in magnet so the pedal won’t keep tipping over while you are working out. 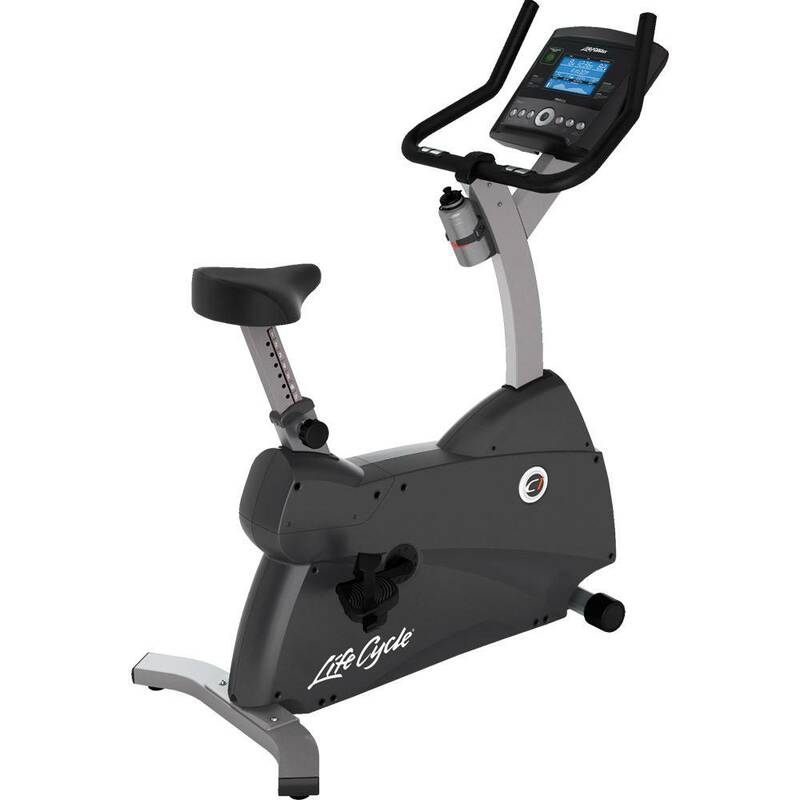 In upright bikes the resistance is electronically changed using the buttons on the console. On these buttons is usually displayed “up” and “down”, to traverse all available resistance levels. The resistance that makes pedaling more difficult is usually created using a magnetic pull. 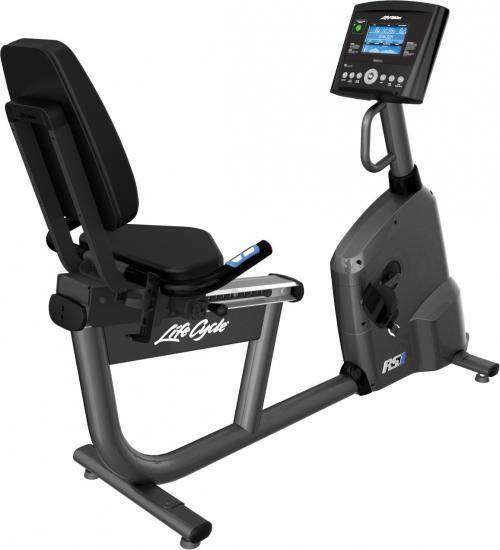 Recumbent bikes are ideal for people that need extra back support while exercising. This is because the seats this gym equipment comes with a lumbar backrest, the rider position is partially inclined, and has the bicycle pedals in front of the seat instead of under the seat. 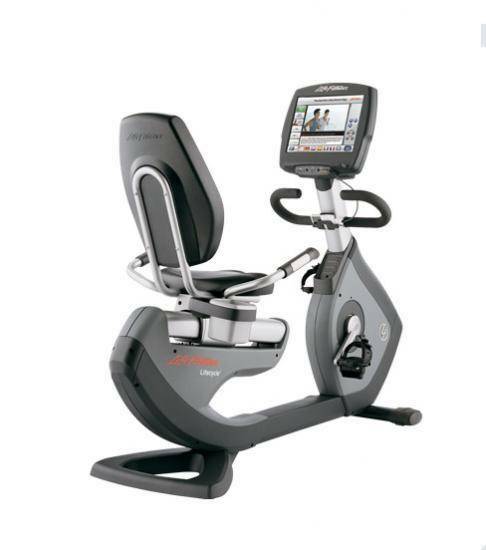 All these different built in features provide great comfort for the user during the fitness workout. So if you want a bike with a better back support that provides you a fitness workout with an improved blood flow recumbent bikes might be the bike you are looking for. Recumbent bikes focus on training the lower body. The build of the bike allows you to comfortably read a book while exercising. Unlike vertical static bicycles, recumbent static bicycles are equipped with abundant features such as: LCD screens that display time, distance, heart rate, burned calories, speed and more. The flywheel is covered, not like spin bikes that have the flywheel uncovered. The flywheel generates momentum trying to emulate the feeling of riding an outdoors bike. The faster you pedal de more intensively you’ll work on your lower body, including the calves, thighs, and buttocks. Probably, between the three bikes the recumbent bikes have the most distinctive shape. This type of recumbent bicycle has a seat with lumbar support. The pedals are distant to the user, placed more forward than usual. This position makes this type of bicycles the ideal ally for people with back problems. As it was mentioned previously, upright bikes hold great resemblance to outdoors bikes. However, recumbent bikes are nothing like it: they are much larger and the handlebar is positioned much higher than the saddle. The type of pedal is the same as the one you'll find on recumbent bikes. Some bikes are attributed to have auto balanced pedals. These types of pedals have a dumbbell on one side, so they are always facing up. This allows the user to pedal correctly without feeling that the pedal is trying to overturn. The type of resistance is usually magnetic. The indoor cycles or the spin bikes are the most popular exercise bikes without a doubt. The mechanical components, including the pedals, of these type of bikes have great resemblance to outdoors bikes. The types of resistance can be adjusted. Surprisingly, indoor cycles are the most simple type of exercise bike: they come without a console and any additional features. Indoor cycles have a saddle almost identical to outdoors bicycle seats and so they are not as comfortable as the upright or recumbent static bicycles. Due to the popularity of indoor cycles, this type of exercise bikes has its own section on our website. You can expect nothing but an intense fitness workout on a spin bike. The spin bike leaves the flywheel open in order to better stimulate the outdoor bike’s movement. The heavier the steering wheel, the more realistic the feeling of riding a bike. When riding an indoor cycle you will see that the level of the handlebar and the seat is practically the same, causing the user to be in a more aerodynamic position while riding, similar to a road or mountain bike. Spinning cycles are characterized by having SPD double-sided pedals. These pedals are in most indoor cycles and hold your feet during the fitness workout with a tight strap or with SPD clips if you are riding with cycling shoes. The resistance system of spinning bikes can be magnetic or friction. The magnetic type creates resistance when the magnets, due to pedaling, are moving closer to the wheel. The friction resistance is the most common of the two and also the cheapest. Instead, the magnetic brake, which unlike the friction brake requires no maintenance and provides smooth and quiet pedaling. If you are looking for a full body workout then this type of exercise bike is the best option. Double action exercise bikes efficiently train the upper body while also focusing the same attention on training the lower body. These cycles are very similar in function to elliptical cross trainers, which if you prefer a full body workout perhaps would be better to consider. Features are details that differentiate one model of exercise bike to another. The type of functionalities you want in your exercise bike depends fully on your preferences. It is important you keep in mind that the more functionalities you want on your static bike, the more money you will have to spend. Storage: How easy will it be to store your exercise home cycle? Is it foldable? Do you have wheels for easy transportation?. Display screen: this is a small screen attached to the bicycle and tells you about your heart rate, calories burned, speed, RPM, resistance levels, time, and distance. High-end static bikes are also often equipped with an interactive screen that displays with different types of fitness workout options. Programs: can be customizable or not. But they allow you to raise the level of your fitness workouts. Many programs can adapt to your physical condition, weight, etc..
Heart Rate Monitor: A heart rate monitor can help you get the most out of each workout. There are two types of cardiac monitors: chest monitors, which are often more accurate but many people find them uncomfortable, and contact monitors, which are placed somewhere in your bike (most likely handles). Resistance:It is important that the exercise bike you choose has different levels of resistance which are easily adjustable. Resistance levels allow you to decrease or increase the intensity of your workout. Additional features: Consider additional features such as bottle holders, fans, cup holders, etc. The price is naturally, one of the things that you always consider when making a purchase. The better equipped, that is the more features, and the better quality the exercise bike is the more expensive will be. Although there are very cheap exercise cycles on the internet, it is always worth spending a bit more money and investing in a durable machine that can provide you with a more complete fitness workout. Before narrowing down the choices according to price you should consider the type of use you’ll give the bike. If you are sharing the exercise bike with several family members or you are planning to use it more than 20 hours a week then consider buying a very good semi-commercial, preferably commercial bike. Low end models cost around £400 and can be great if you are planning to make a modest use of the exercise bike. You should first figure out what you’ll be using the exercise bike for and then automatically the type of use falls into a price range. Make sure you consider this carefully and you’re making a good and lasting investment! Stability is one of the most important aspects to consider when buying a new exercise bike. It is important that you purchase a home cycle of sufficient weight so that it does not wobble while you are riding it. In order to determine the stability of the exercise bike just take a look at the weight. The more it weighs the more stable the bike will be. We take care that all exercise bikes in our store are stable enough for any fitness workout, even the more intense. We select our products carefully! But of course, before buying the new bike check always the maximum weight capacity of the home cycle which is available to you in the product description. You get free delivery with your purchase!